Honoring Ronald for his service to our country. Born on January 26, 1917 in Nebraska, United States. Passed away on September 7, 1944 in Philippines. Ronald Boston served in the Phillipines during WWII. On December 8, 1941, the Phillipines were attached by Japanese forces the day after Pearl Harbor. The American Forces held off the Japanese as long as they were able but finally surrendered in April 1942. The Battle of Bataan ended on April 9, 1942, when Army Major General Edward P. King surrendered to Japanese General Masaharu Homma. About 12,000 Americans and 63,000 Filipinos became prisoners of war. 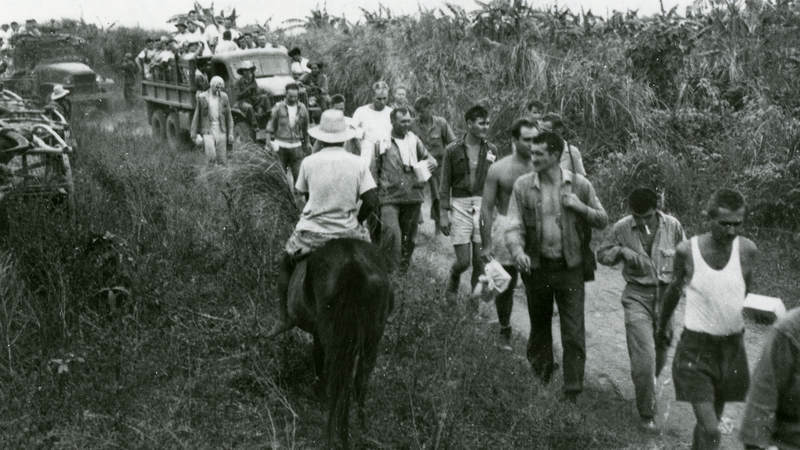 What followed became known as the Bataan Death March—one of the worst atrocities in modern history. During the battle, American and Filipino soldiers of General Douglas MacArthur’s United States Army Forces in the Far East (USAFFE) held out for four months against the Imperial Japanese Army, while every other island and nation in the Pacific and Southeast Asia fell to the Japanese. By March 1942, Japan controlled all of the Western Pacific except the Philippines. MacArthur’s plan was to hold his ground on the Bataan Peninsula and Corregidor Island in the Philippines until the Navy could bring reinforcements and supplies from the United States. Once the reinforcements arrived, he planned to attack north from Bataan, defeat the Japanese Army, and push onward to the Japanese islands and victory. But with the Navy decimated by attacks on Pearl Harbor, Hawaii, there were no ships capable of delivering reinforcements to Bataan. The Japanese navy blockaded Bataan and nearby Corregidor, preventing any food, ammunition or medicine from reaching U.S. troops. For months, the troops on Bataan lived on half rations in the tropical jungle. Nevertheless, they fought back Japanese attacks and defeated the Japanese army at battles along the Bataan defense line and the rugged coastline of the peninsula. But without supplies they could barely hold out. By April 1942, many troops had lost as much as 30 percent of their body weight. As medical supplies ran out, malaria, dysentery and other tropical diseases ravaged their ranks and 10,000 men were confined to the two open-air jungle hospitals for wounds and illnesses. Less than half of the remaining forces could be considered “combat effective”—defined as a man who could walk 100 yards without staggering and still have enough strength left to fire his weapon. On April 3, the Japanese army launched its final assault on Bataan. Although the starving Allied soldiers fought as best they could, they were no match for the fresh Japanese troops brought in for the attack. As Homma’s army rolled back the front line on Bataan, King, the American field commander of more than 70,000 U.S. and Philippine troops made a fateful decision. He surrendered on April 9 rather than see any more of his starving, diseased men slaughtered by Japanese forces. Some refused to become prisoners, fleeing into the jungle. Of the ones who got away, many would join the guerrilla movement. Once the surrender went into effect, the Japanese rounded up the Allied troops, gathering them into groups of 100 on the only paved road running down the Bataan Peninsula. The Japanese assigned four guards to each group and began marching the prisoners—lined up four abreast—north toward Camp O’Donnell in Tarlac province, 65 miles away. As the emaciated men proceeded up the highway in the blistering heat, the Japanese guards summarily shot or bayoneted any man who fell, attempted to escape or stopped to quench his thirst at a roadside spigot or puddle. The men were given little water or food during the march, which took about five days for each group to complete. The guards also chased off, bayoneted or shot any Filipino civilian who tried to give water or bits of food to the passing lines of prisoners. At various points along the route of the march, they singled out prisoners, sometimes in groups, tied them to trees or fences and shot them to death as examples to the others. The Japanese killed between 7,000 and 10,000 men on the Death March—they kept no records and no one knows the exact number. If a man fell, it was certain death unless another could pick him up and support him. When they got to Camp O’Donnell, prison conditions were even worse. The facility was a former Philippine army camp designed to accommodate about 10,000 men, but the Japanese crammed 60,000 Death March survivors into the camp. There was little running water, sparse food, no medical care and only narrow trenches along the sides of the camp for sanitation. The heat was intolerable. Flies rose out of the latrines and covered the prisoner’s food. Malaria, dysentery, beriberi and a host of other diseases swept through the crowds of men and they began dying at the rate of 400 a day. 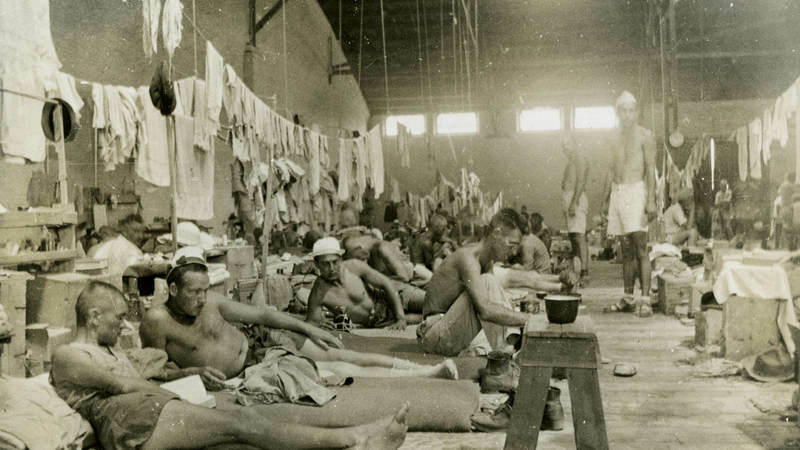 Conditions were so dire that by July 1942, the Japanese replaced the camp’s commander, moved the American prisoners to a camp in Cabanatuan, and paroled the Filipino prisoners. From September through December 1942, the Japanese gradually paroled the Filipino soldiers to their families and the mayors of their hometowns, who were held personally responsible for each man’s conduct. To be paroled, a soldier had to be well enough to walk and had to sign an oath he would not participate in guerrilla activity. Anyone who was too sick to walk was held in camp until he got well or died. By the time Camp O’Donnell closed in January 1943 after eight months of operation, 26,000 of the 50,000 Filipino POWs had died. The Americans fared no better. Conditions in Cabanatuan were marginally better than Camp O’Donnell and doctors were able to somewhat stem the disease and death rate. However, as U.S. forces pulled closer to the Philippines in 1944, the Japanese decided to evacuate the American prisoners to Japan and Manchuria to use them as slave laborers in Japanese factories and coal mines. Thousands of men were crammed into the dark holds of cargo ships so tightly they couldn’t sit or lay down. Again, food and water were scarce and the heat in the closed holds of the ships was unbearable. Men suffocated standing up. In some cases, the guards wouldn’t even let the dead bodies be removed from the holds. The Japanese ships were unmarked and some of them were attacked by American planes and submarines.